The bride and groom share a laugh at Briar Ridge Country Club. Summer wedding? As I type this, snow is falling and blowing outside and the polar vortex is scheduled to bring the Chicagoland region a negative 24 degree temperature with high winds!! 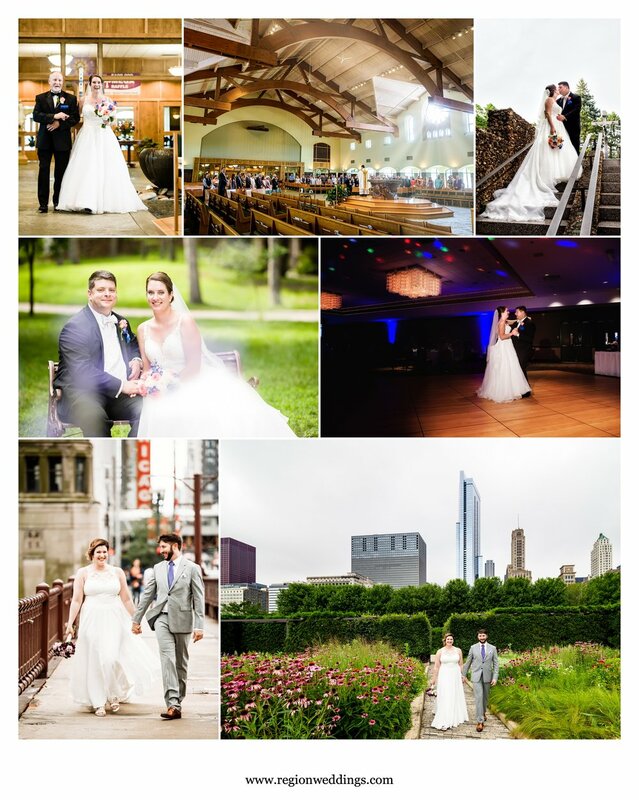 I knew this was coming, so I saved Patty and Stephen’s summer wedding blog for this winter article. Hopefully all the sunshine in their photos will warm us all up. The happy couple received their wedding album months ago. They actually live in New York City where I imagine winter is just as cruel as here in the Midwest. 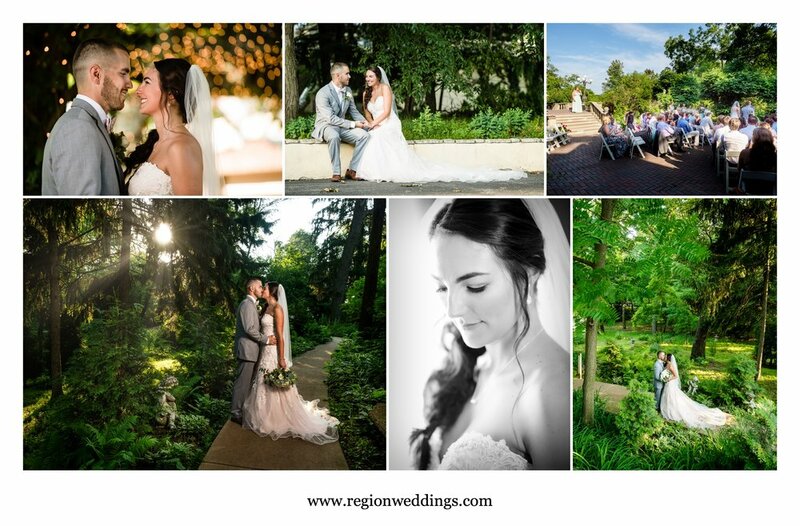 The entire wedding took place at the beautiful Briar Ridge Country Club in Dyer, Indiana where we started with me photographing bridal prep and second photographer Lauren covering the guy’s prep. 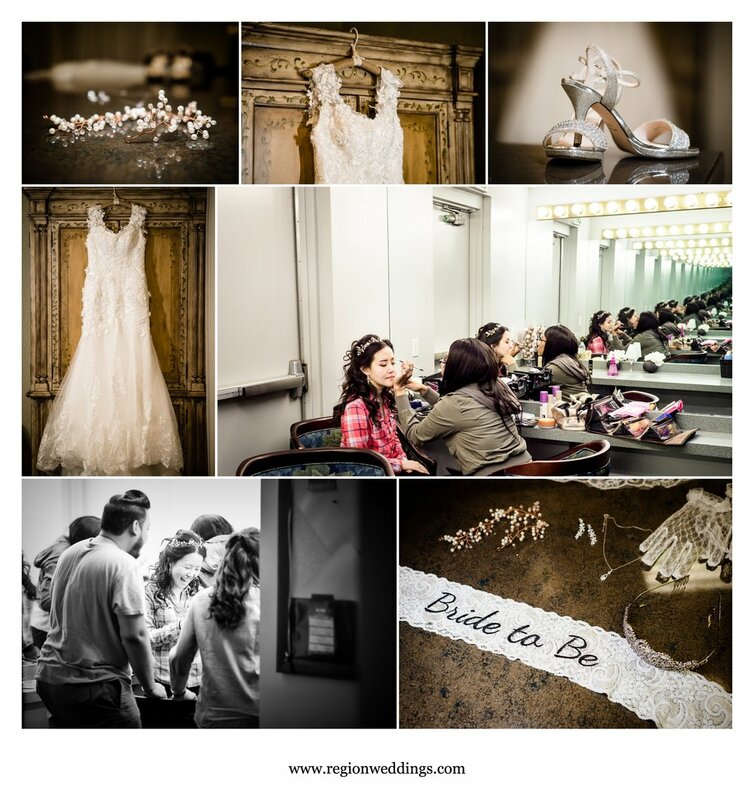 Bridal prep for a summer wedding at Briar Ridge. The bridesmaids assist the bride on her big day. 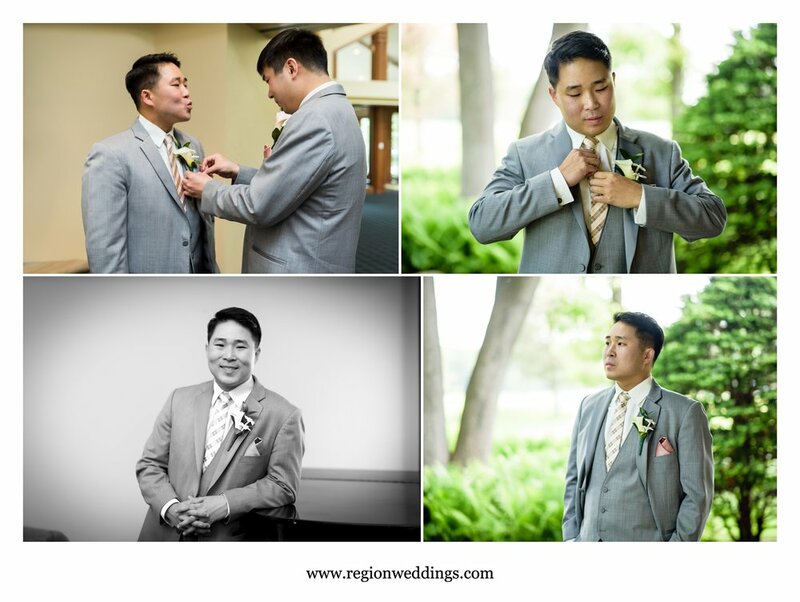 Groom prep for a summer wedding at Briar Ridge Country Club. The bride shows off her boho crown and flowing white dress. We structured Patty and Stephen’s day so that all of their pictures would be done before the ceremony which was set for 6pm. This way they could go straight to cocktail hour, dinner and fun on the dance floor without any stress or rushing around to fit in photos. This meant a first look in a shady area next to the Briar Ridge Clubhouse before we soaked up the sun for their summer wedding pictures. First look for the bride and groom next to the Briar Ridge Golf Course Clubhouse. 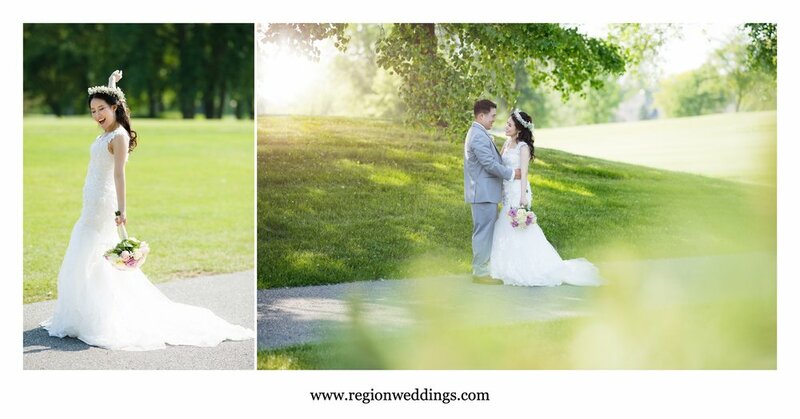 Bridal portrait surrounded by greenery at Briar Ridge Golf Course in Dyer, Indiana. 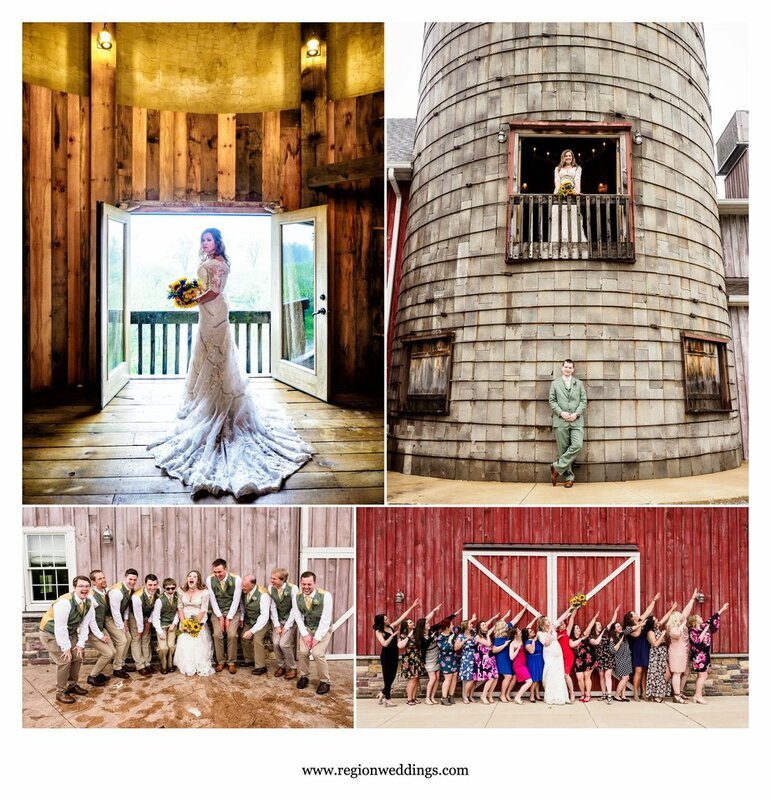 Wedding party group photos at Briar Ridge Country Club. 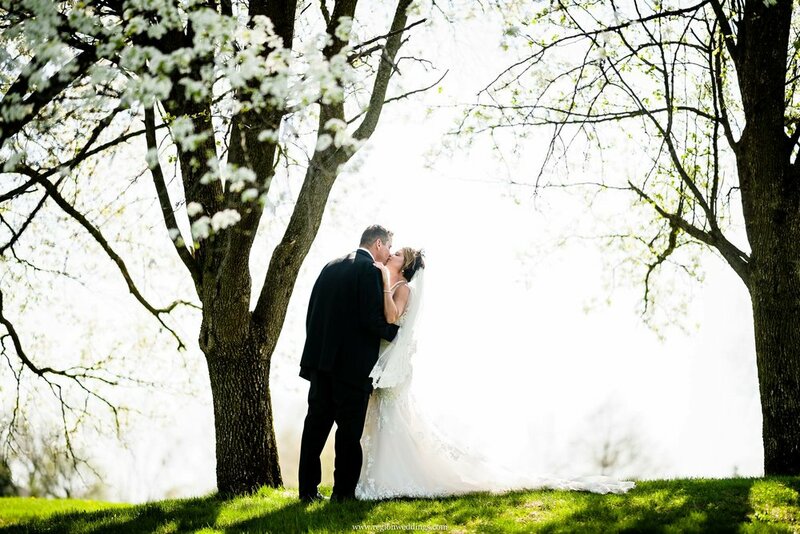 Bride and groom soak up the sun in this backlit wedding picture. The bride and groom have fun on their wedding day. After taking many pictures all around the wonderfully landscaped golf course, we took family pictures at the front of the clubhouse. Then it was ceremony time. 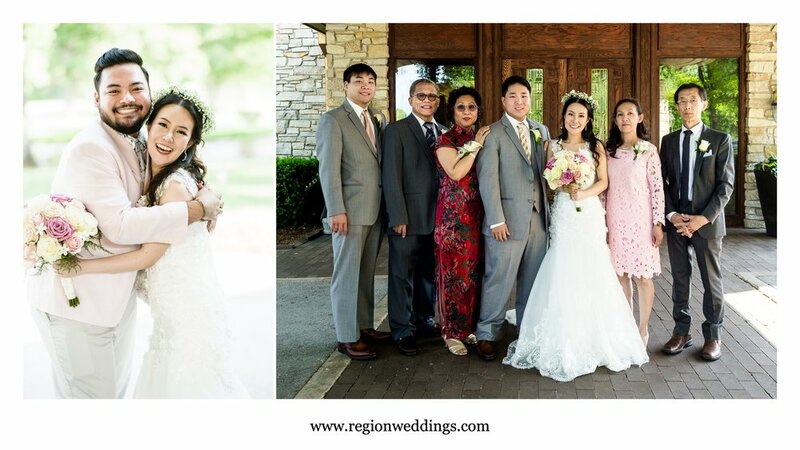 Family pictures at Briar Ridge Country Club. 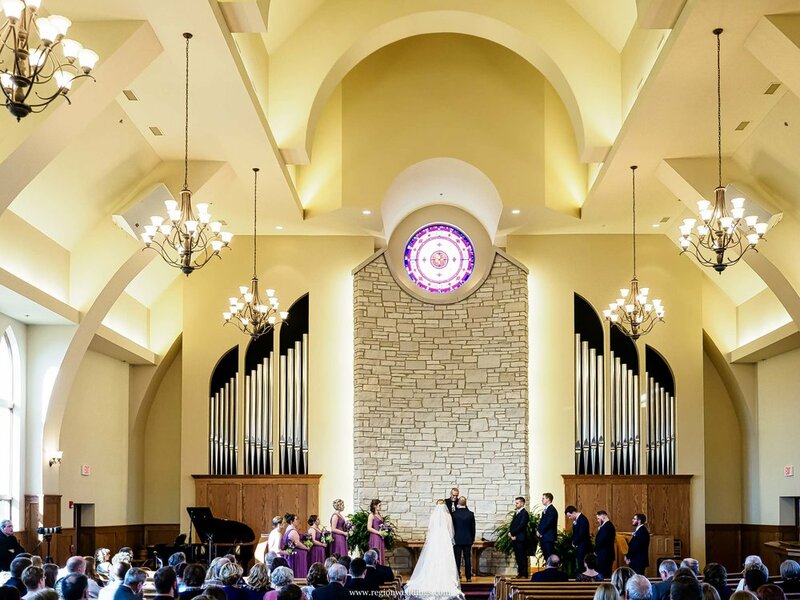 Golf course wedding ceremony at Briar Ridge. 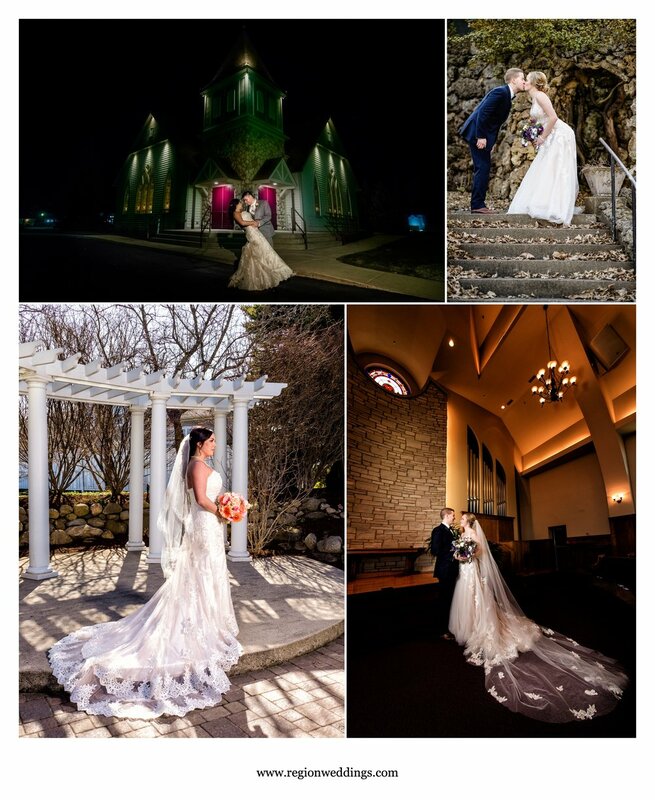 Patty and Stephen chose a 6pm ceremony time which was perfect due to the sun getting low in the sky. This enabled the guests as well as the couple to comfortably be in the shade throughout. 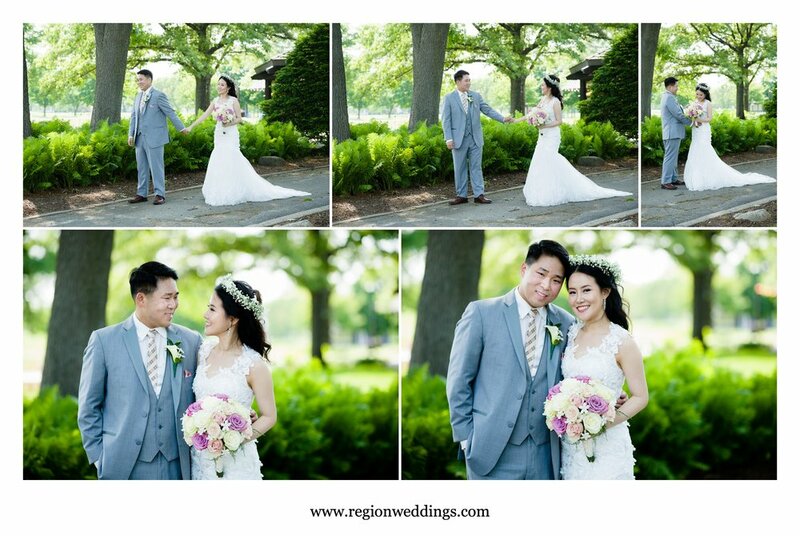 Outdoor summer wedding on the golf course. After the ceremony we took a few golden hour shots and then it was inside for dinner, drinks and dance floor fun. Bride and groom enjoy the summer sun. Golden hour dance for the bride and groom in their ceremony are at Briar Ridge golf course. Bride and groom take a stroll in the golden hour sun. Cocktail hour at a Briar Ridge Country Club wedding. First dance for the bride and groom as romantic lighting engulfs the dance floor. 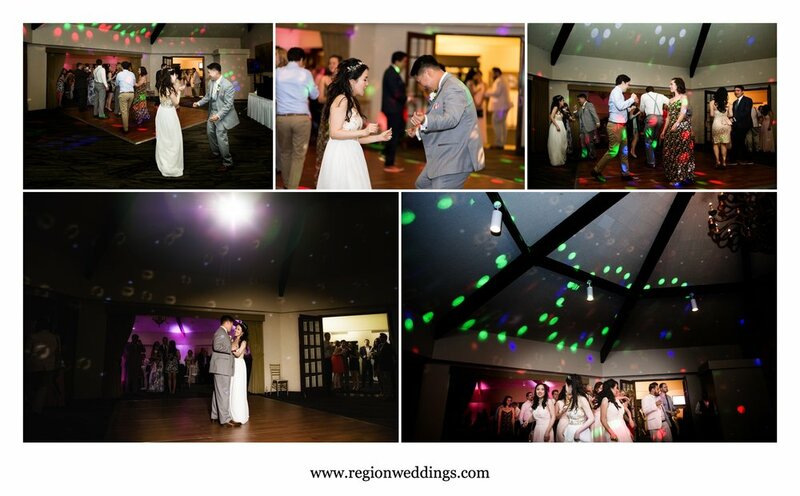 Wedding reception fun at Briar Ridge Country Club. I hope you have enjoyed this blog post of Patty and Stephen’s summer wedding at Briar Ridge Country Club in Dyer, Indiana. 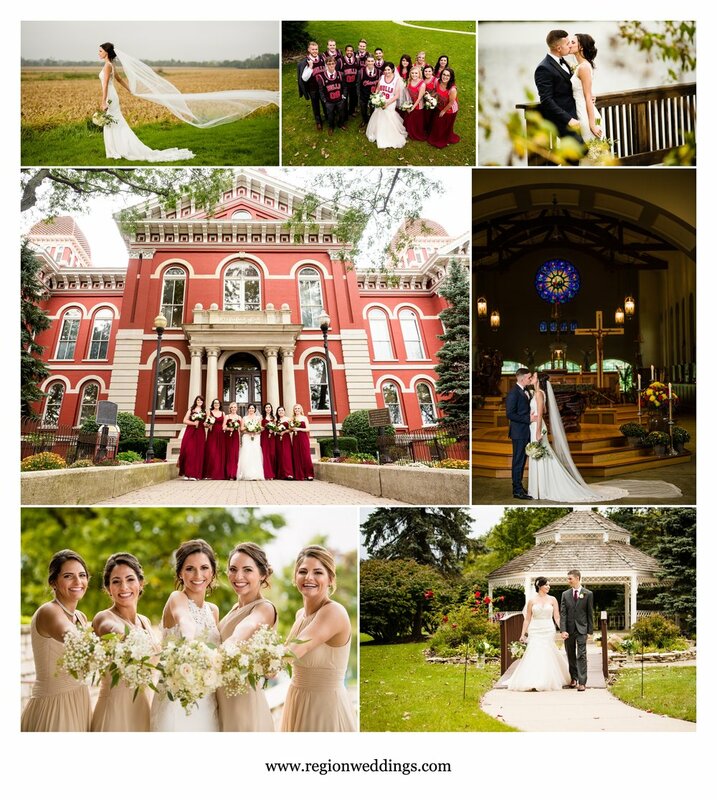 As always, please do fill out the Contact Form here to inquire about wedding photography for your big day. 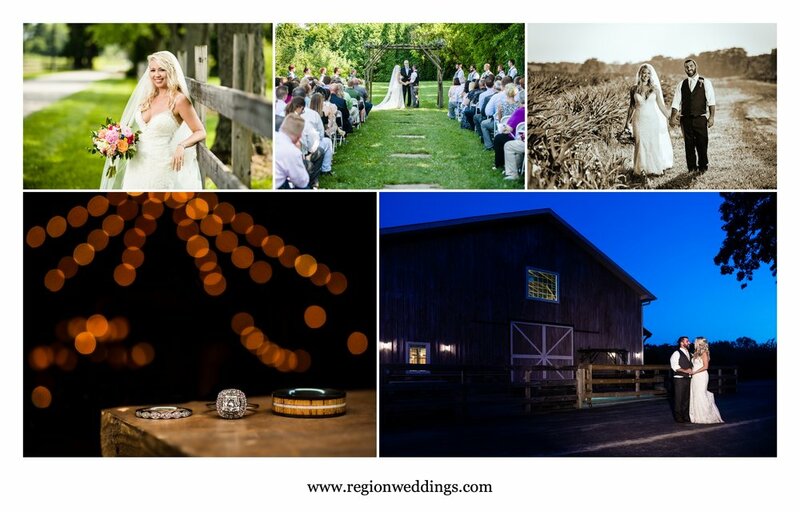 The Region Weddings IG feed has many more images from this and other weddings for your viewing pleasure.